Louisville, Kentucky is not the place our Readers would put at the top of their minds when thinking about assistive technologies for older adults, but the debut last week of The Thrive Center may change that. It’s a public-private partnership between the Commonwealth of Kentucky and Louisville Metro with private technology and senior living companies. It showcases technologies transforming senior care on a permanent, updating basis and demonstrated in use. The Center includes in their 7,500 square foot setting Samsung technologies integrated into a full-size kitchen, bathroom, living room and bedroom; AppliedVR virtual reality headsets; headphones from Eversound; brain fitness software from Posit Science; and music-as-medicine solutions from SingFit and wellness apps from EVŌ. The opening theme is assistance for memory care, which implies that the exhibits will be shifted to different themes in the future. Companies which helped to establish Thrive include CDW Healthcare (IT), Samsung, Intel, Ergotron, Lenovo, HP/Aruba, Kindred Healthcare (post-acute care) and skilled nursing provider Signature HealthCare. 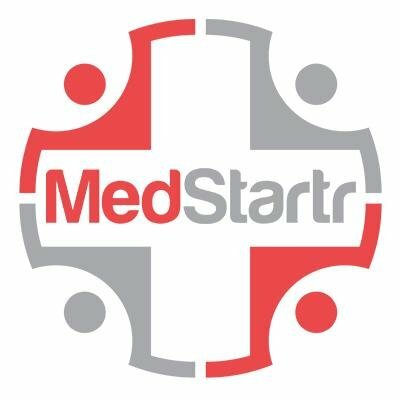 Kindred and Signature are located in Louisville, which is a healthcare hub of the mid-South. It is also the headquarters of Humana and an operations center for Care Innovations–both notably absent from the partner list. CDW release, Senior Housing News, Thrive Center website, Thrive Center release. 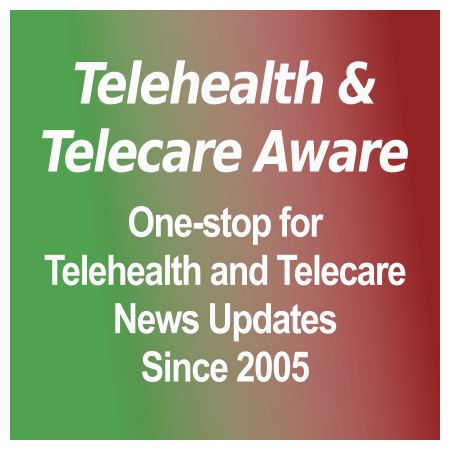 The Telecare Services Association (TSA) in the UK has recently released a white paper addressing the impact of a fundamental change to the [grow_thumb image=”http://telecareaware.com/wp-content/uploads/2017/10/connecting-people-saving-lives.jpg” thumb_width=”150″ /]UK Public Switched Telephone Network (PSTN) that is now being contemplated. This change will eventually see the replacement of the current PSTN and Integrated Services Digital Network landline networks with IP telephony (the type of phone connectivity that has been commonly used in most modern office environments for some years). Two years ago BT, who essentially owns practically the whole of the UK PSTN, proposed that the change of their network would be completed in 2025. This has an impact on the telecare services to the extent that many telecare alarm devices in use connect to the call centres via the PSTN and hence such devices and/or the infrastructure used by suppliers of such services will need to be upgraded when the underlying network is changed. There are, according to the TSA paper, 1.7 million users of such devices in the UK. The TSA is essentially the UK industry body for telecare and telehealth and as such it is understandably trying to raise awareness of the need for both the commissioners and suppliers of these services to prepare for the change. This paper is said to be a result of gathering views from “key stakeholders” related to this change. The potential impact, however, seems to be somewhat exaggerated. It should be remembered that the UK very successfully underwent another major switch-over not that long ago in 2012 – from analogue to digital TV. It required every analogue TV in the country to be either fitted with a set top box or replaced with a digital TV. TSA also suggest that this changeover be used as an opportunity to roll out more internet based digital health functionality to end users. Of course, such functionality is already widely appearing in the form of health monitors, exercise and medication reminders etc. and are not dependent on the switch over. So it is unfortunate that the paper flips between the two topics and asserts a dependence of internet based digital services on the PSTN switch-over. The document feels more like marketing material than a white paper with about 1/3 of it taken up by irrelevant photographs of random happy smiling or laughing (mostly older) people. It reminded me of some of the material that came out the the 3 Million Lives project. If only our elderly people living alone or in our care homes were as happy as this! [grow_thumb image=”http://telecareaware.com/wp-content/uploads/2017/10/robear.jpg” thumb_width=”150″ /]The problem of Japan’s aging population–the oldest worldwide with 32 percent aged 60+ (2013, RFE)–and shortage of care workers has led to a variety of ‘digital health solutions’ in the past few years, some of them smart, many of them gimmicky, expensive, or non-translatable to other cultures. There have been the comfort robot semi-toys (the PARO seal, the Chapit mouse), the humanoid exercise-leading robots (Palro), and IoT gizmos. Smarter are the functional robots which can transfer a patient to/from bed and wheelchair disguised as cuddly bears (Robear, developed by Riken and Sumitomo Riko) and Panasonic’s exoskeletons for lifting assistance. Japan’s problem: how to support more older adults in homes with increasingly less care staff, and how to pay for it. The Financial Times quotes Japan government statistics that by 2025 there will be 2.5m skilled care workers but 380,000 more are needed. The working age population is shrinking by 1 percent per year and immigration to Japan is near-nonexistent. Japan is looking to technology to do more with fewer people, for instance transferring social contact or hard, dirty work to robots. The very real challenge is to produce and support the devices at a reasonable price for both domestic use and–where the real money is–export. The next generation of care aids by now has moved away from comfort pets to sensors and software that anticipate care needs. Projects under development include self-driving toilets (sic) that move to the patient; mattress sensor-supplied AI which can sense toileting needs (DFree) and other bed activity; improved ‘communication robots’ which understand and deploy stored knowledge. Japan’s businesses also realize the huge potential of the $16 trillion China market–if China doesn’t get there first–and other Asian countries such as Thailand, a favored retirement spot for well-off Japanese. In Japanese discussions, ‘aging in place’ seems to be absent as an alternative, perhaps due to small families.